Colorful lanes, a sea of people, aromatic food, honking vehicles, and a huge market – that’s Old Delhi for you. These overcrowded lanes of Dilli 6 carry a historical suitcase of events that made it what it is today. 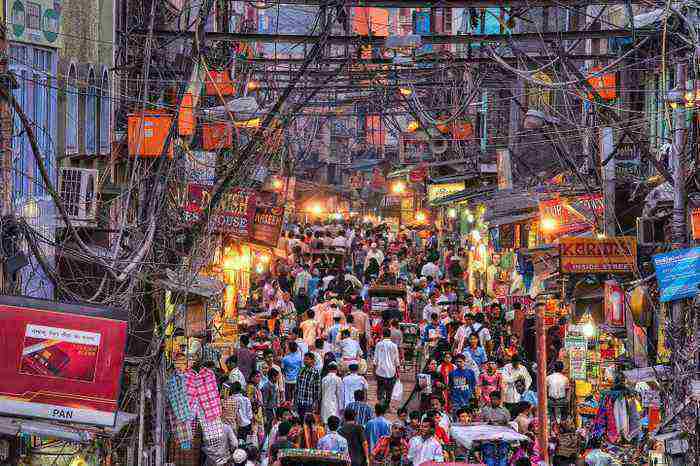 Also known as a food paradise, Old Delhi Sadar Bazar market is everything that a shopper in you can dream of. This 17th Century artifact is known to be the largest wholesale market. From the exact replica of your favorite Sabyasachi Lehenga to spices, books, electronics, etc, you can find everything at Sadar Bazar. What makes people travel miles to reach this densely populated area for a shopping spree is a huge market and attractive wholesale price. 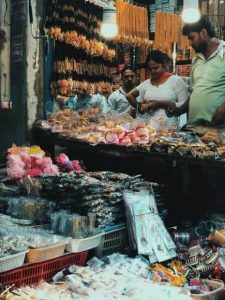 Let me take you on a digital walk through the alleyways of Old Delhi wholesale markets. The buzzing street of Swadeshi market can lead you to shops selling artificial jewelry, fancy gift items, household essentials, etc. 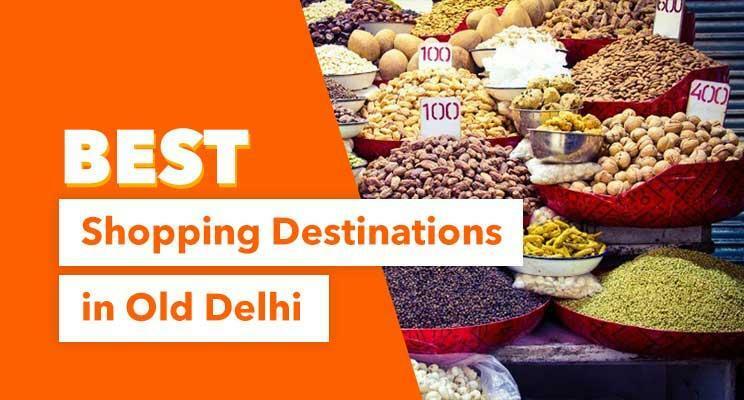 A subpart of Old Delhi Sadar Bazar wholesale market, Swadeshi Market will surprise you with amazing products at dirt cheap prices. Visit the place to stock up your household needs including toiletries, kitchen boxes, groceries, etc. You can also check out the Timber bazar for plywood and timber. If the aroma of authentic spices hits your sensory nerves, know that you have landed in Asia’s largest wholesale spice market. Khari Baoli is a trade center for people from all parts of India. From authentic spices to nuts and all kinds of groceries, Khari Baoli is a treasure trove of dry fruits and spices available at wholesale prices. Again, one of Asia’s largest market for electronic and electrical goods, this place can turn your home into a palace. Pretty chandeliers, garden lights, vintage lamps or just the regular electrical needs, Bhagirath Palace is the perfect destination for all the electronic needs. 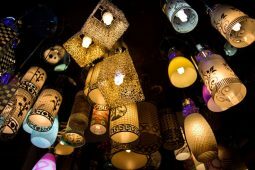 Want to decorate your house with lights? Head straight to Bhagirath Palace and get the perfect fittings at dirt cheap price. For all the bibliophiles out there, your heaven has been found. Head to Daryaganj on a Sunday morning to bring home your favorite books at a steal deal. On Sundays, the walkaways of Daryaganj are flooded with vendors selling novels at prices as cheap as Rs 30/- per book, even Rs 99/- for a kilo. Unbelievable, right? Pick your bag and head straight to Daryaganj to get your hands dirty by choosing your favorite reads from piles of books. This place is one of the cheapest stationery markets in SadarBazarr Delhi. Full of colorful and cute stationery items, strolling through Nai Sadak can help you get a lot in cheap bargains. 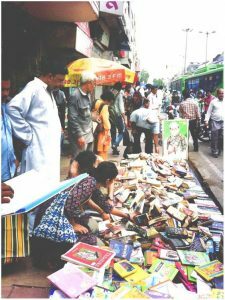 Known to be one of the biggest textbooks markets in India, the street is usually crowded with students and we know why! If you get tired while checking out the shops, stop by at Sri Shyam sweets and savor some refreshing lassi and snacks. It’s totally worth it, trust me! Nearest metro station – You can talk a walk from Chawri Bazar to Nai Sarak or a rickshaw from Chandni Chowk. Once famous for brass and copper products, Chawri Bazar is now the go-to place for getting your wedding cards printed. Ranging from minimalist to ultra-fancy cards, this market has options in every range. You can also find shops with sanitary fittings of all kinds that are fancy but cheap. 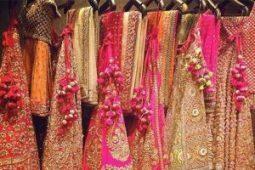 If you want to take a look at the wedding lehengas or fancy outfits, take a tour to Chandni Chowk. Chandni Chowk market needs no introduction. It’s No. 1 on the shopping destination list of every Indian bride-to-be. Be it Deepika Padukone’s royal lehenga or Anushka Sharma’s bridal look, you can find the exact copy of your dream designer lehenga at unbelievable prices. 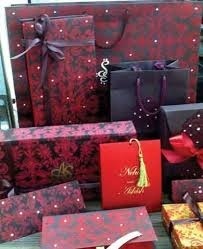 Do not forget to check out the tiny shops, they can surprise you with some best collection of wedding and party attire. Having chosen your favorite outfit, head straight to Dariba Kalan to match the perfect accessories to complete your D-day look. 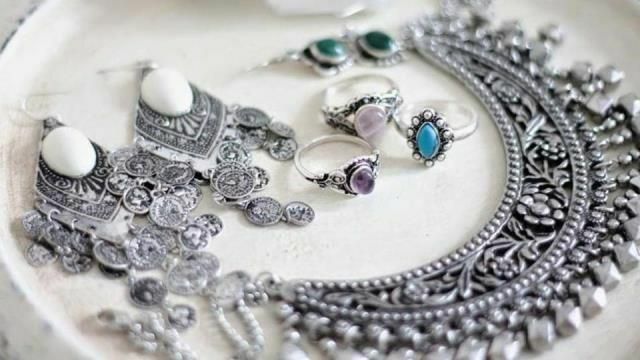 Dariba Kalan is a hidden treasure for all silver and chunk jewelry buffs. Be ready to get surprised by a huge collection of silver and Kundan jewelry at a pocket-friendly price. 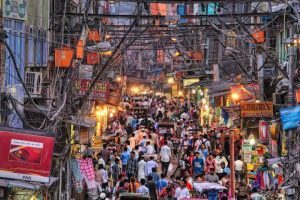 Having mentioned the markets, here’s a list of Dos and Don’ts when you visit Old Delhi streets. BARGAIN! Bargain as much as you can. An extra large durable bag is a must. Carry a water bottle. Maybe two. Wear your most comfortable shoes. Definitely try out the amazing Old Delhi food. Don’t give in to the dealers. Explore the streets by yourself. Traveling on your own vehicle in Old Delhi is a bad idea. Do some legwork. Don’t go unprepared. Make a checklist before leaving home. On which day Sadar Bazar is closed? The market is closed on SUNDAY. 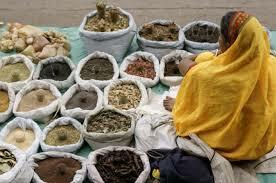 Having mentioned all the essentials, you are ready to explore the market lanes of Old Delhi. Tie your shoelaces and get set go. Thank us later.